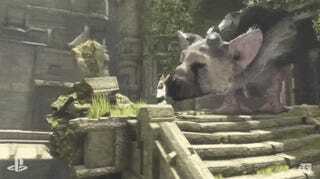 Bombshell: The Last Guardian is still alive, and it’s coming out on the PS4 in 2016. 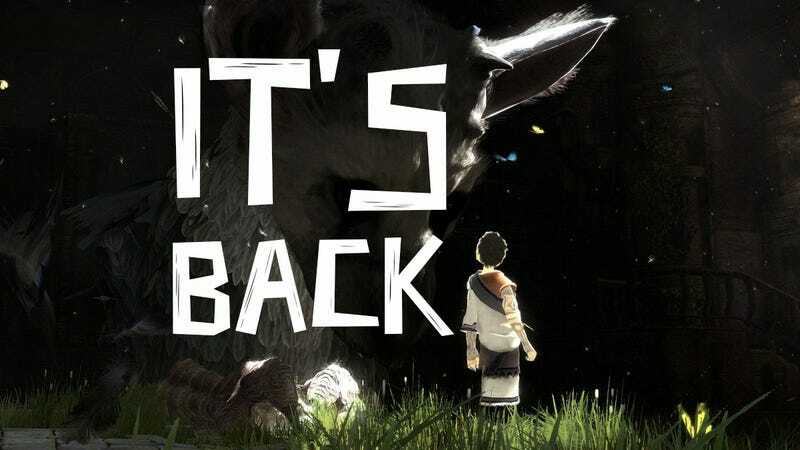 The practically mythical game was shown off today during Sony’s E3 press conference. It’s a damn miracle. The Last Guardian, as you may already know, has had a troubled development cycle. Team Ico, the developers, originally announced the game in 2009 for the PS3. Since then, the game has had a ton of delays and supposed cancellations—some people assumed that it would just never come out. It’s been a trip. But here we are. Sony says it’s coming out, for real this time. The footage shown tonight—all on the PS4—saw a little boy traversing precarious platforms and solving puzzles with the help of a giant beast. It looks like the sort of mysterious but intriguing game you’d expect from the people who also developed Shadow of the Colossus.